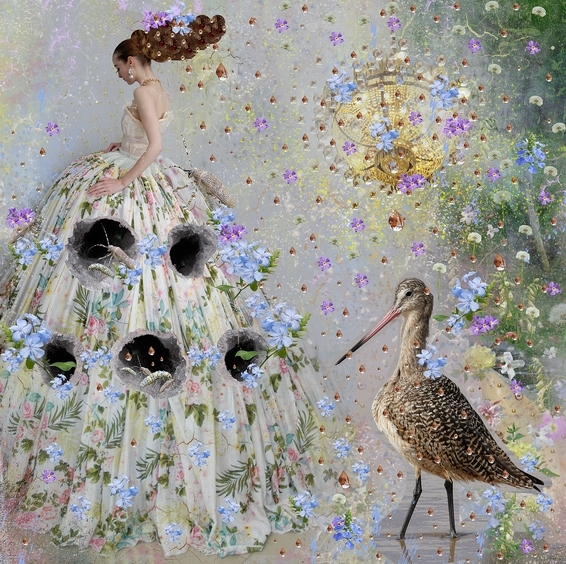 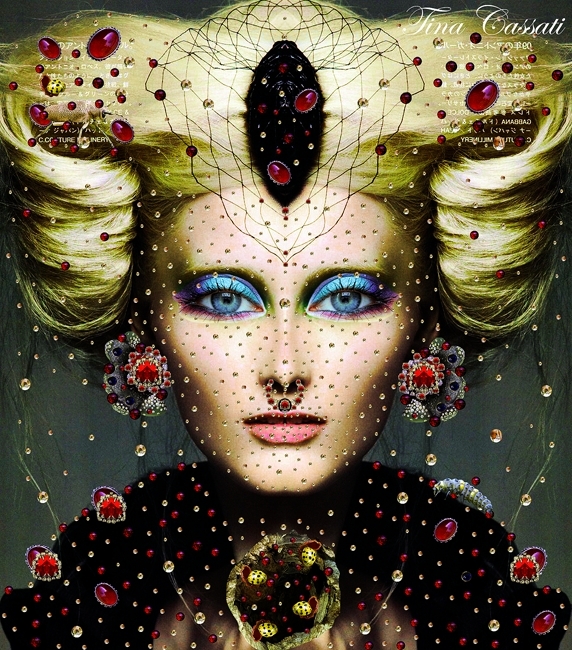 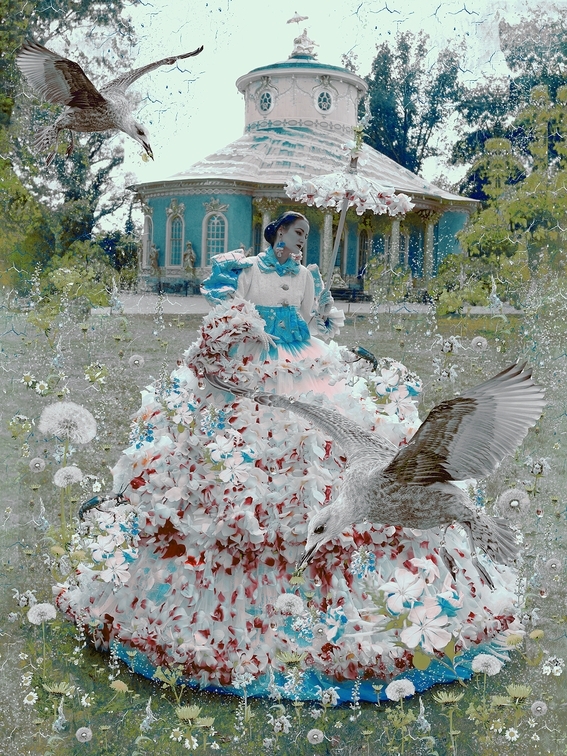 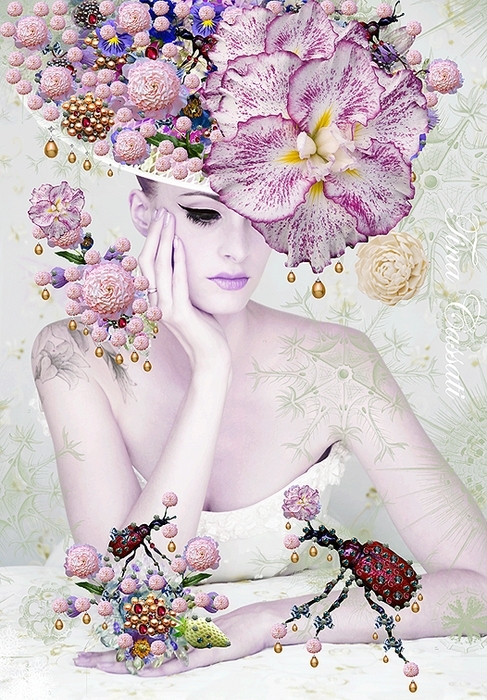 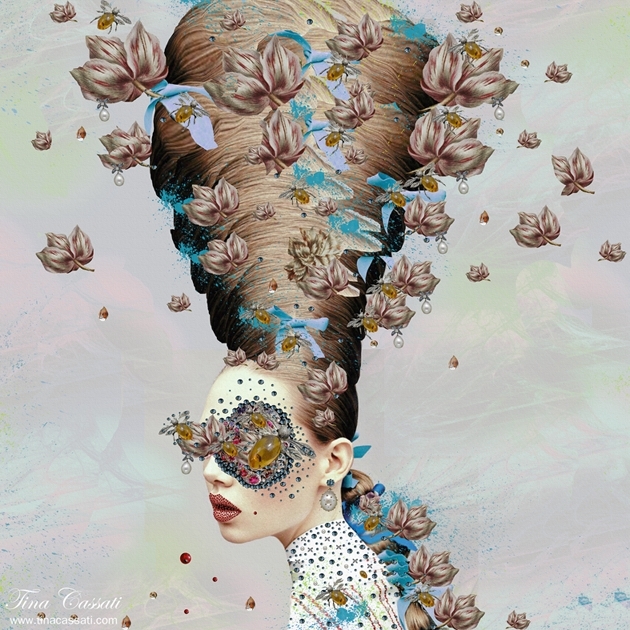 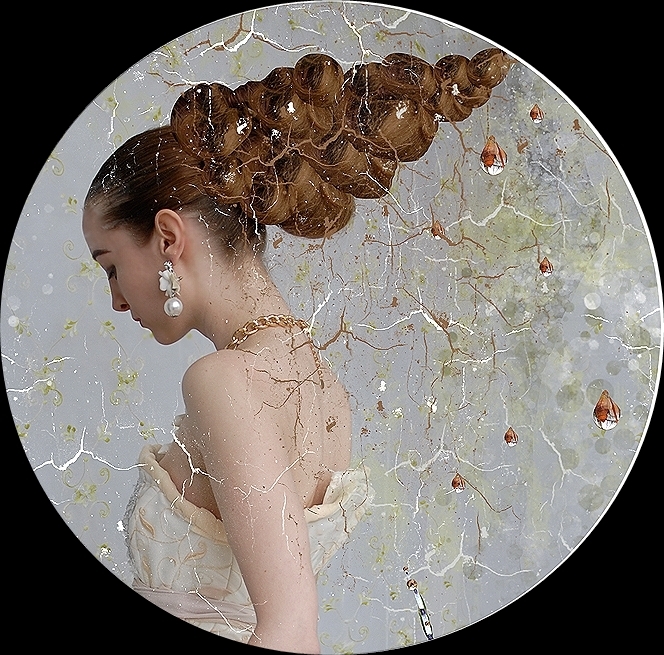 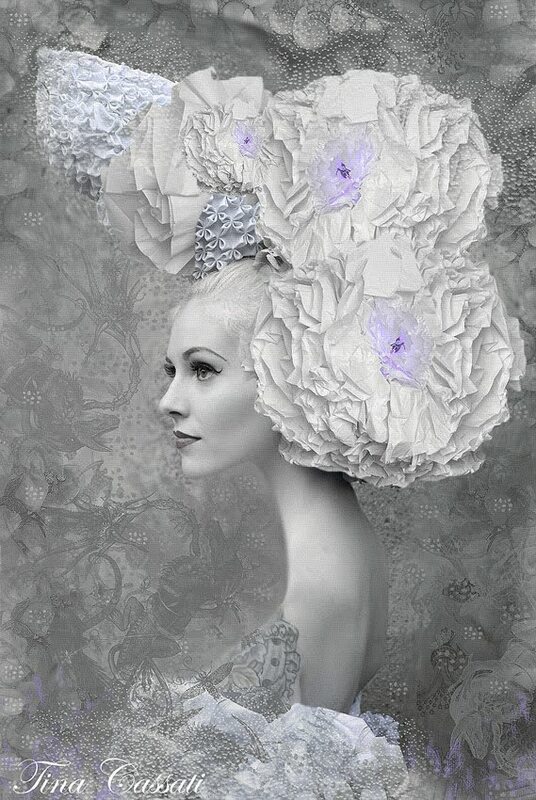 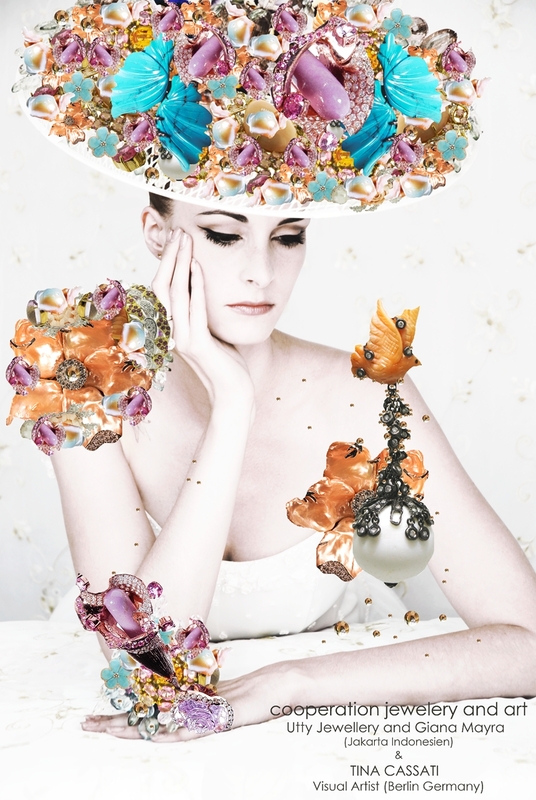 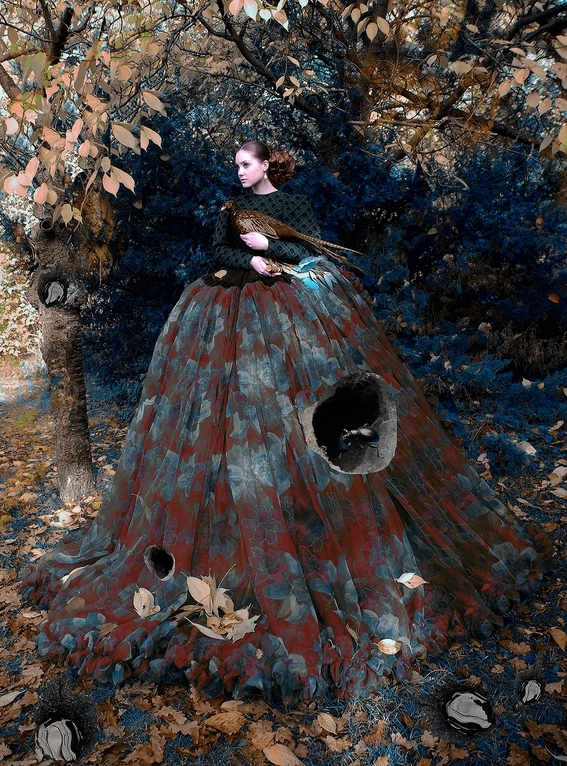 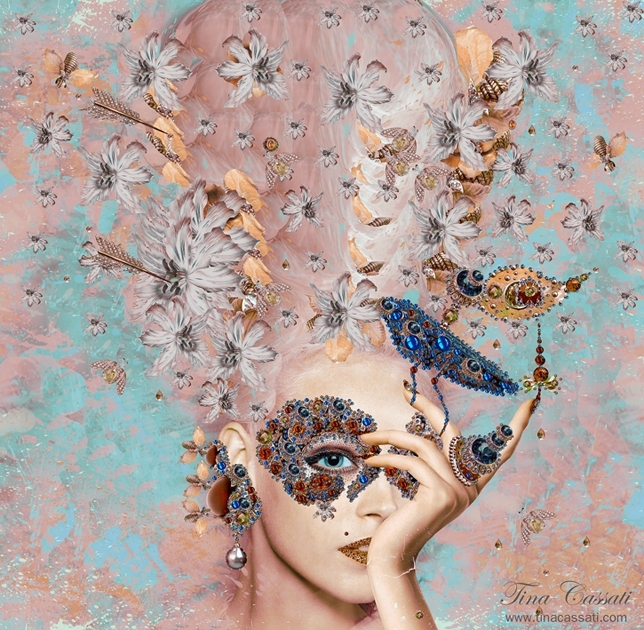 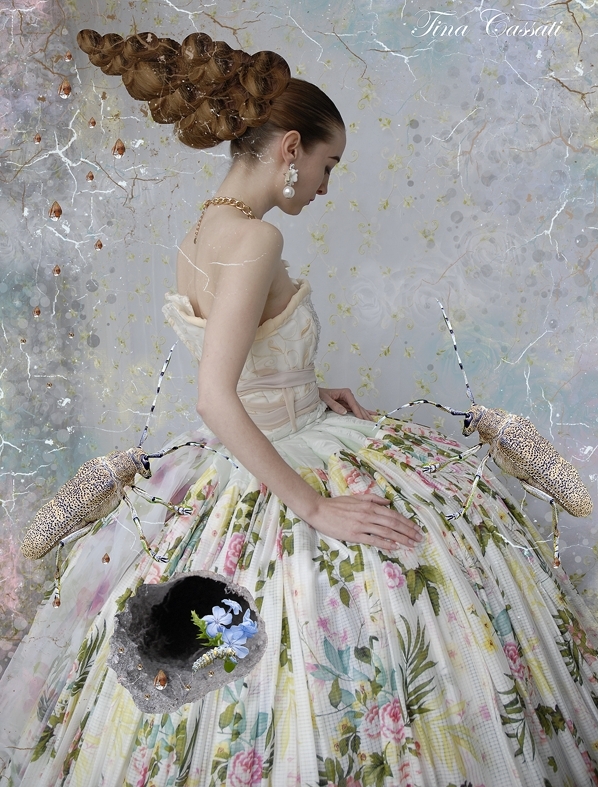 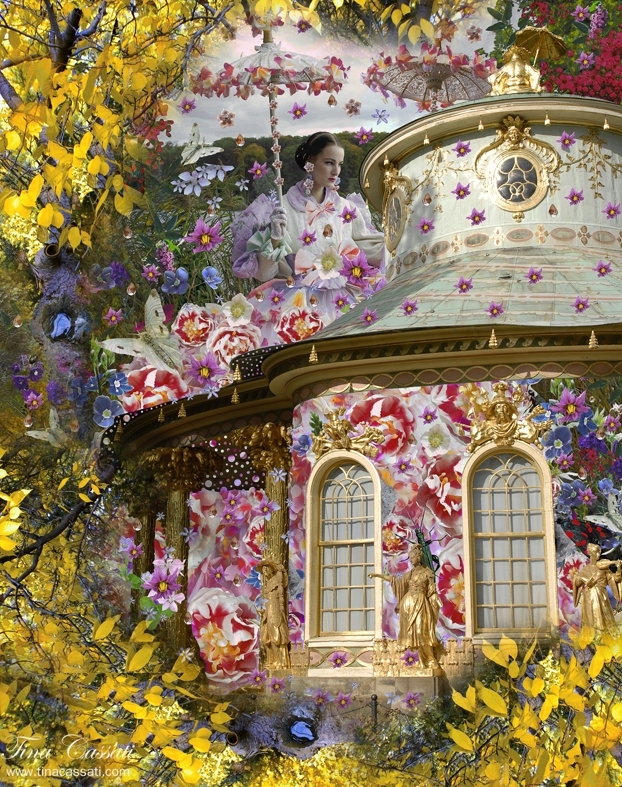 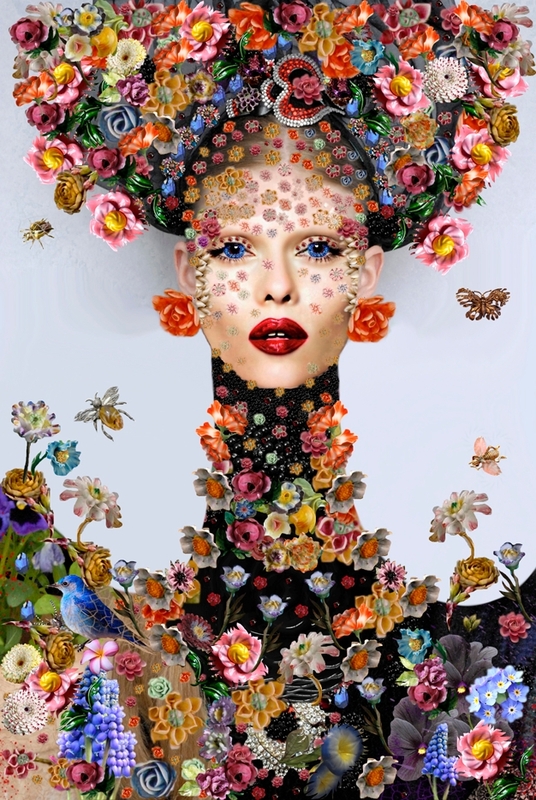 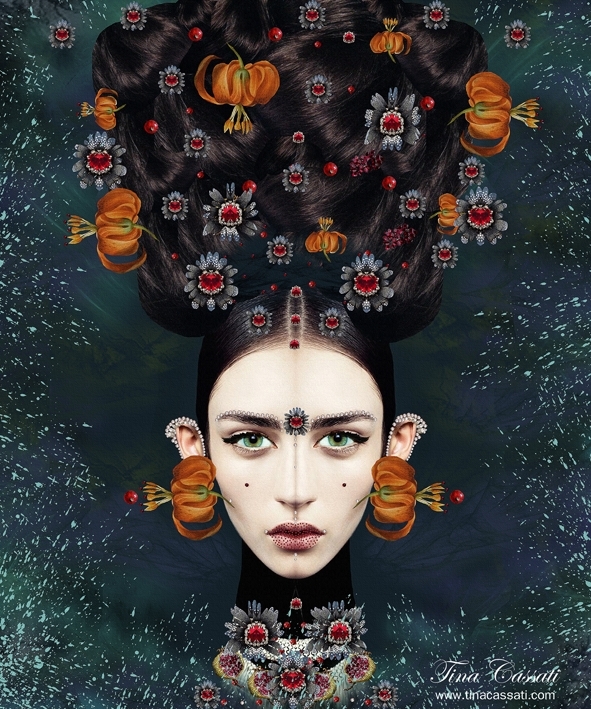 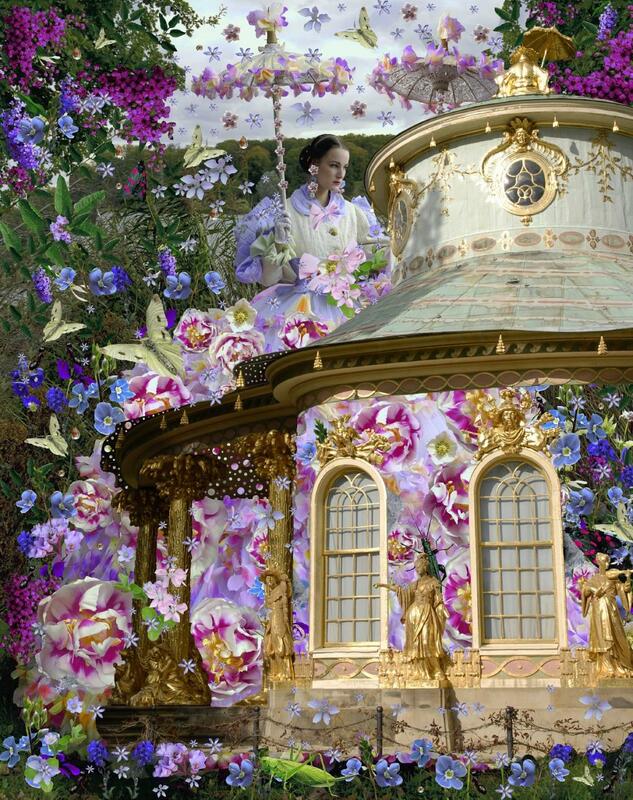 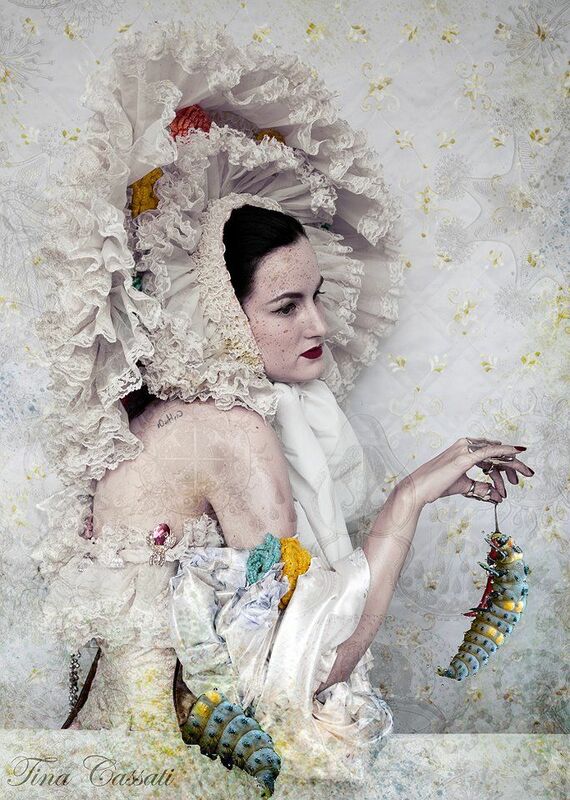 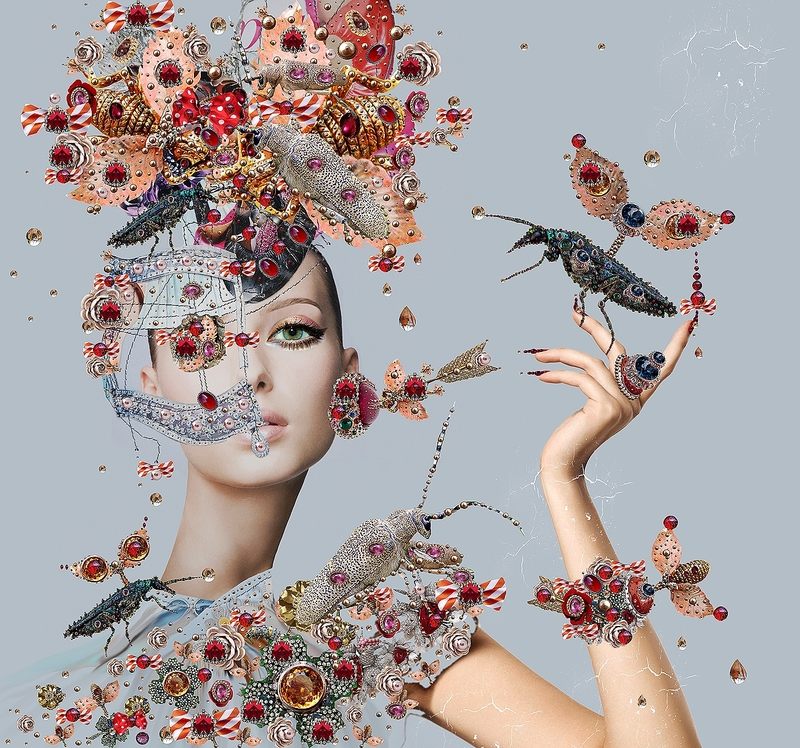 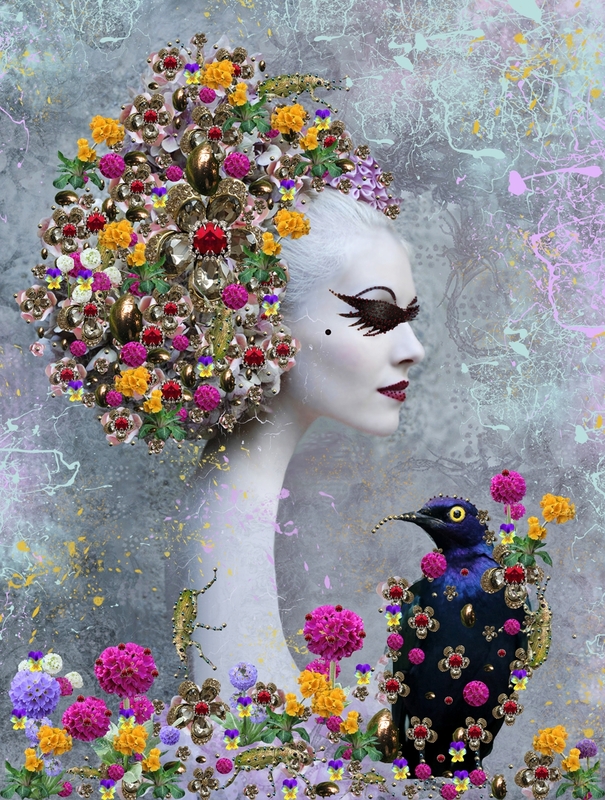 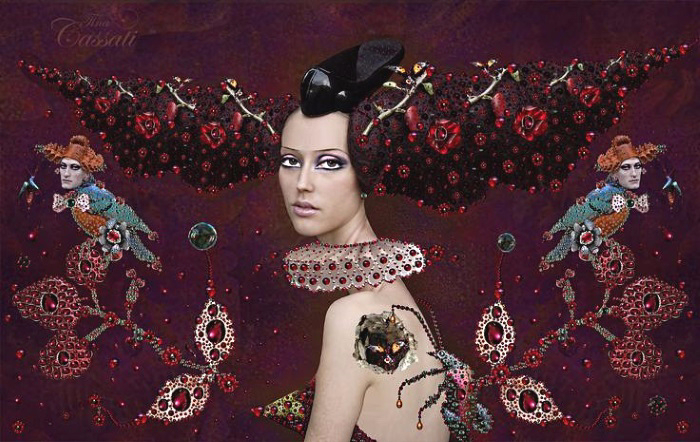 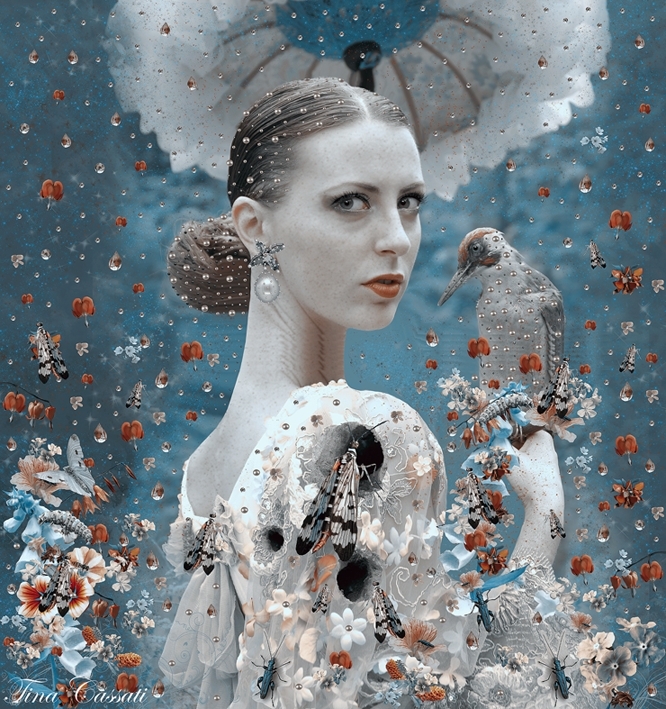 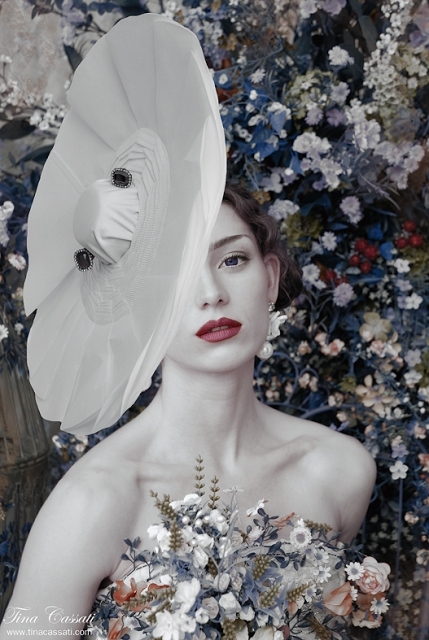 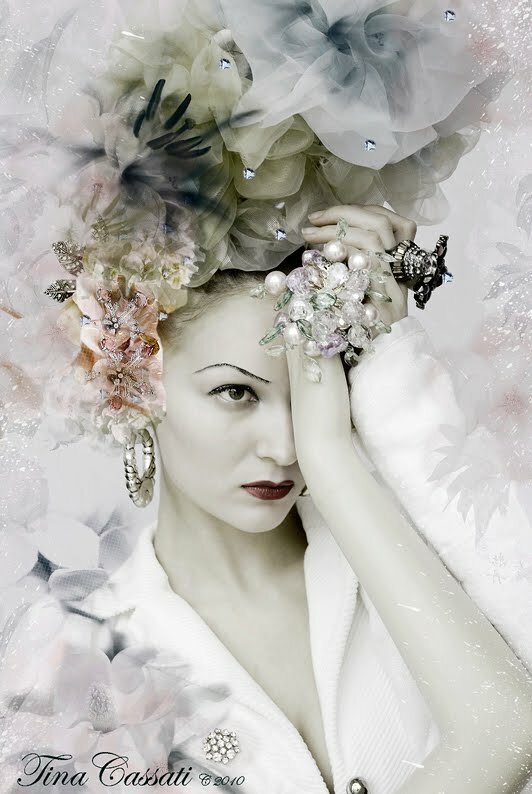 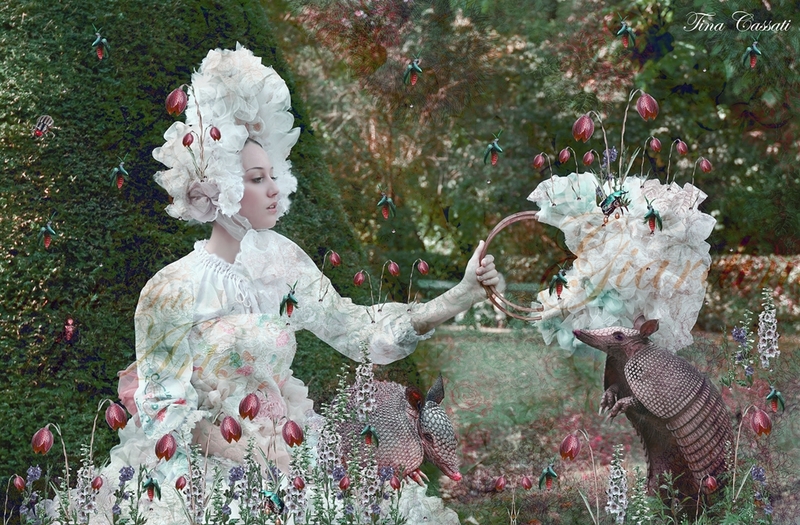 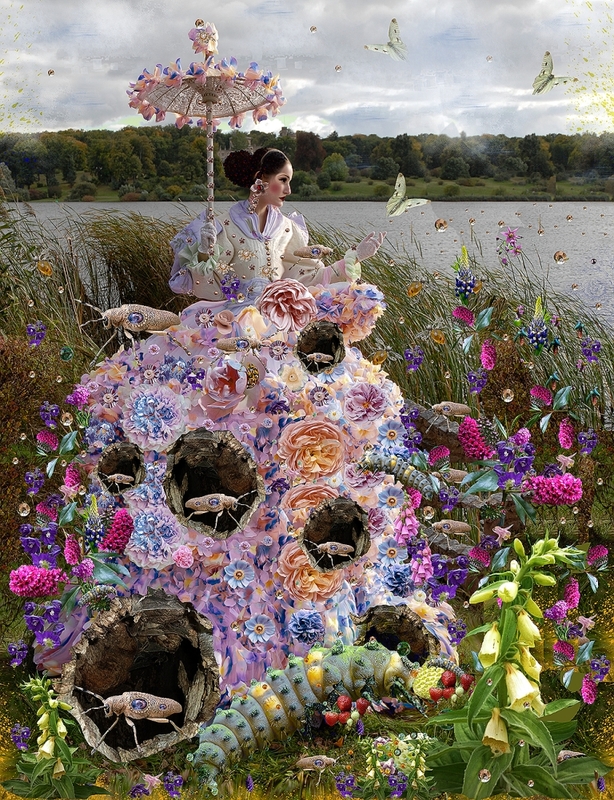 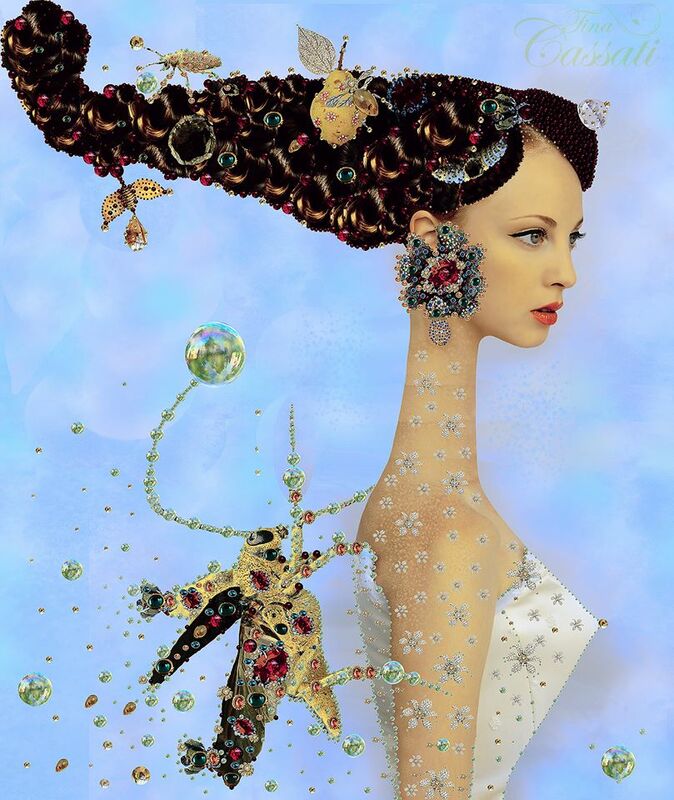 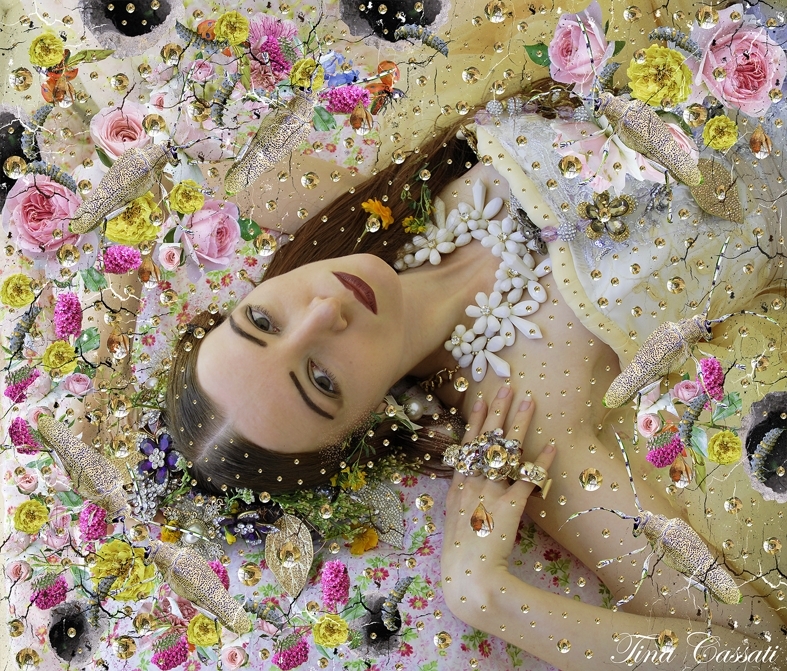 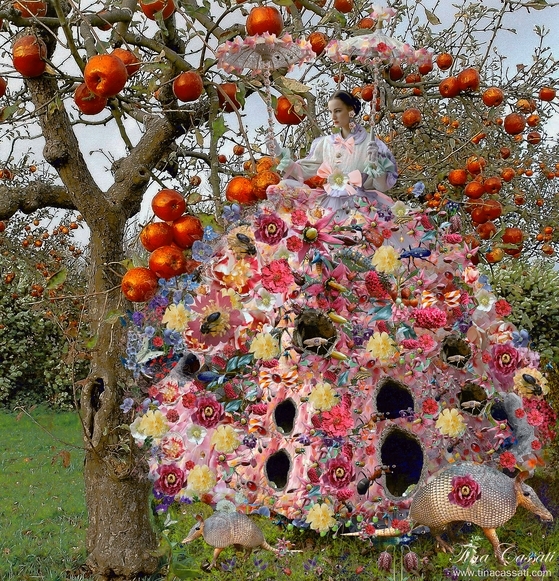 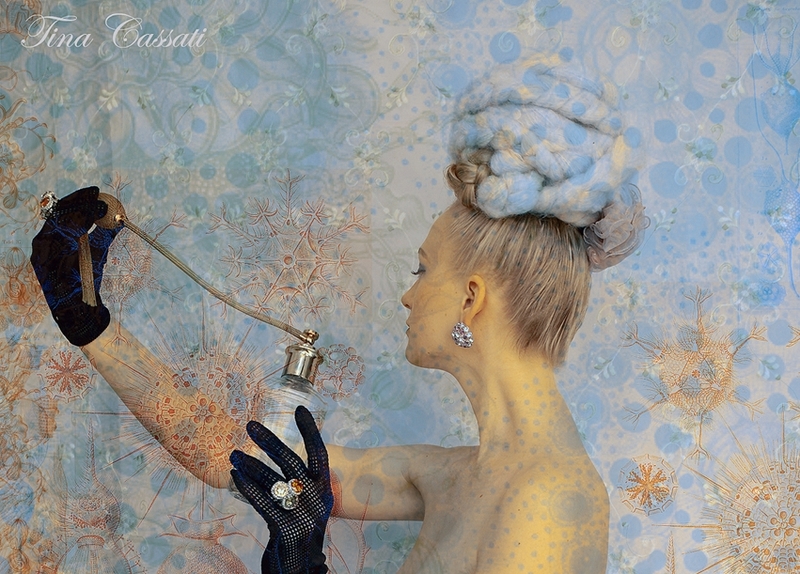 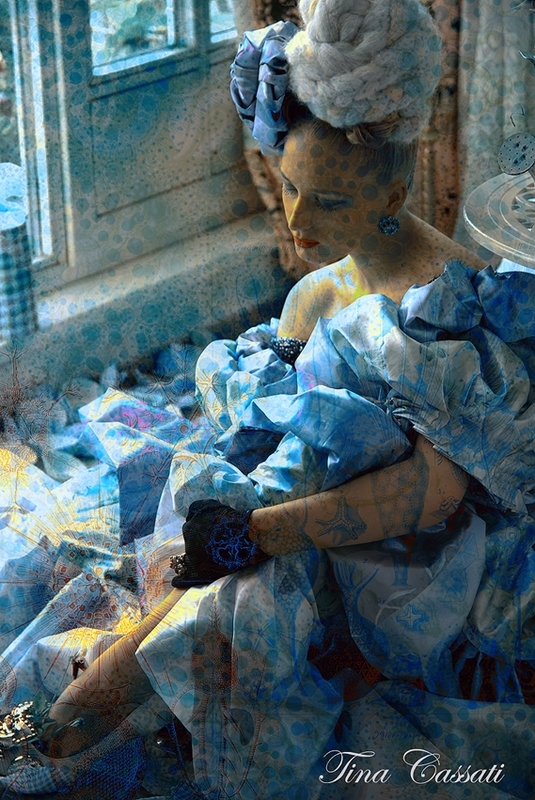 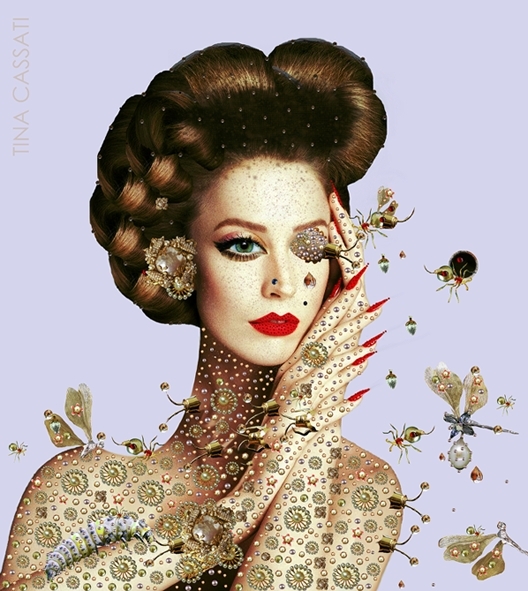 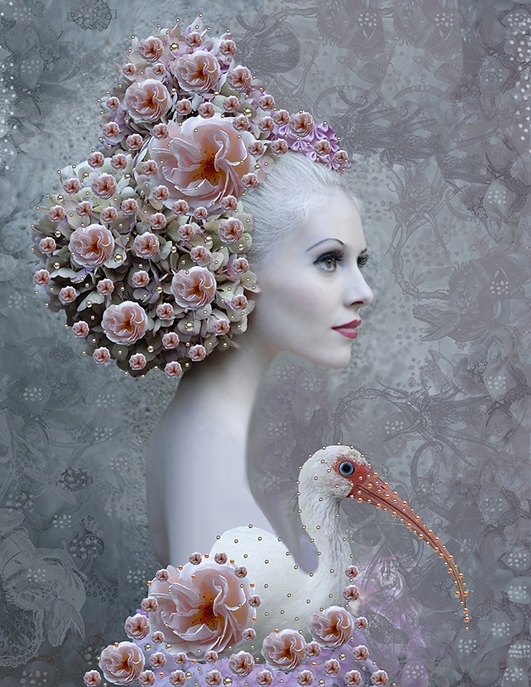 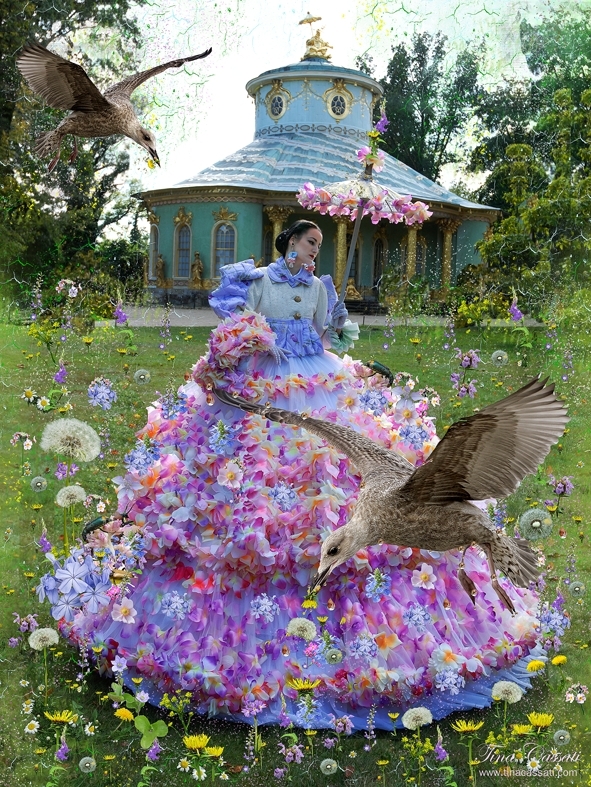 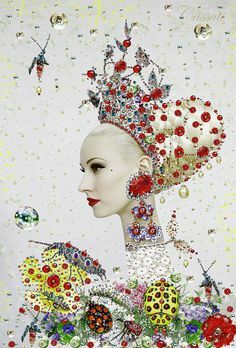 Berlin based artist Tina Cassati, makes COSTUMES (sculpture le mode and giardino di arte), ruffs, hats-, bags- and shoes-, jewelry objects into modern surreale digital-photo-art worlds and illustrations. 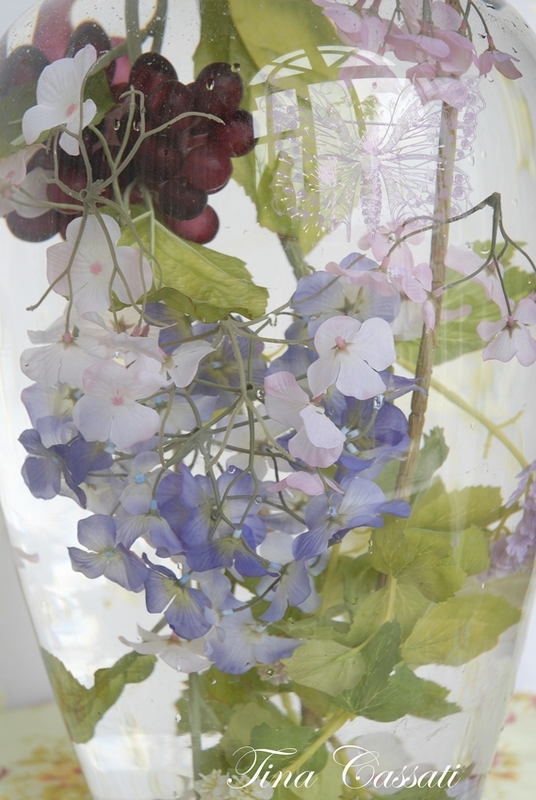 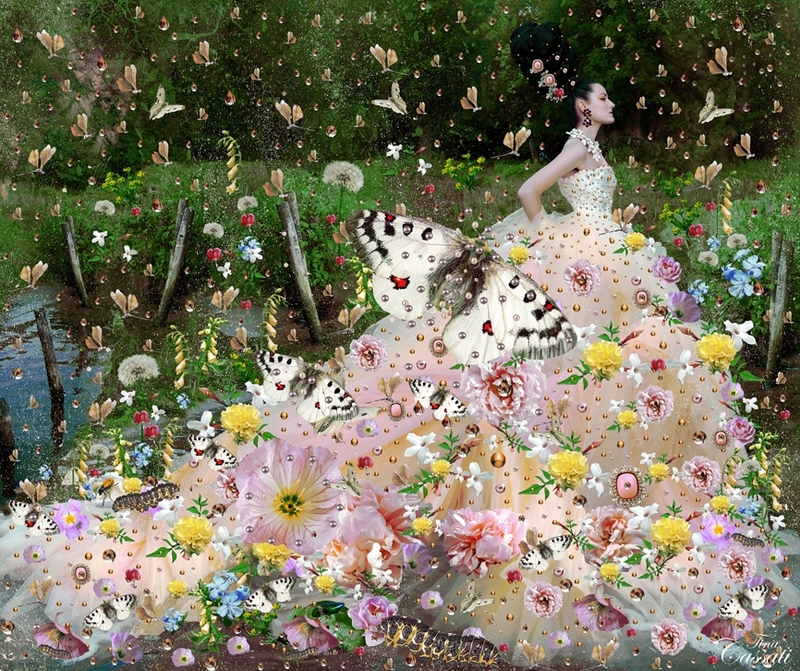 She paints, sews, draws, photographs, digital collage (mixed media, collage, illustration). 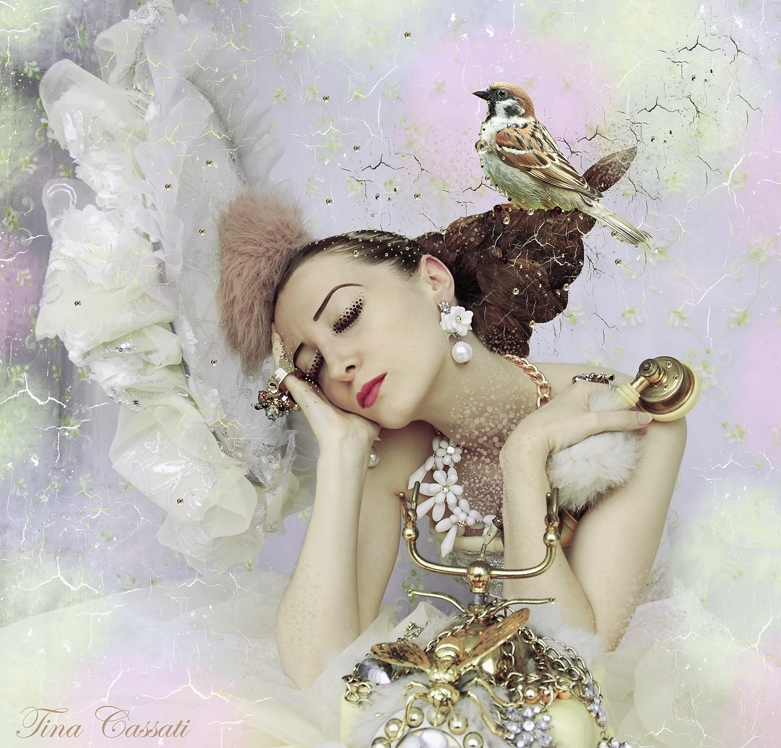 She does not care about genres. 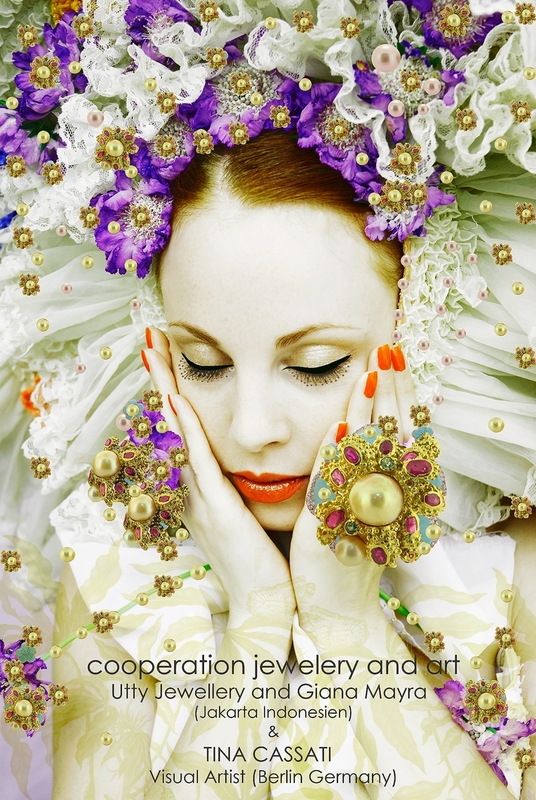 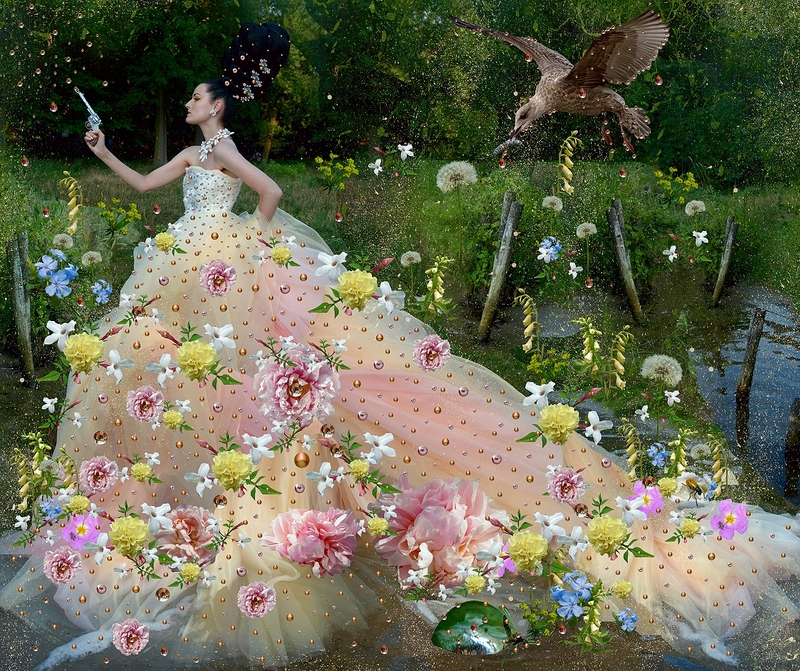 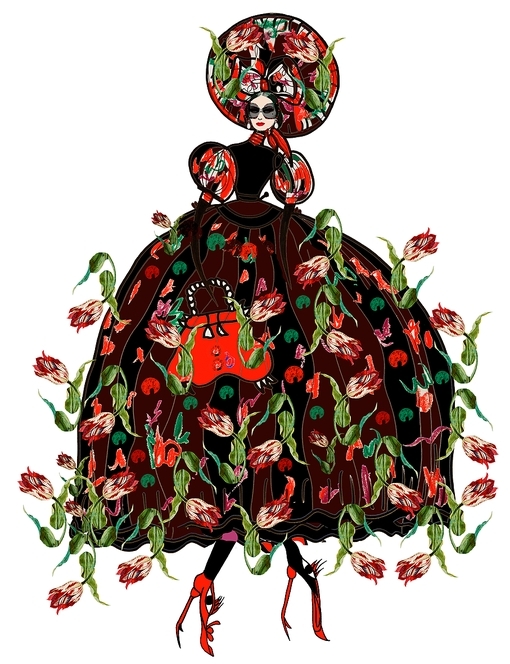 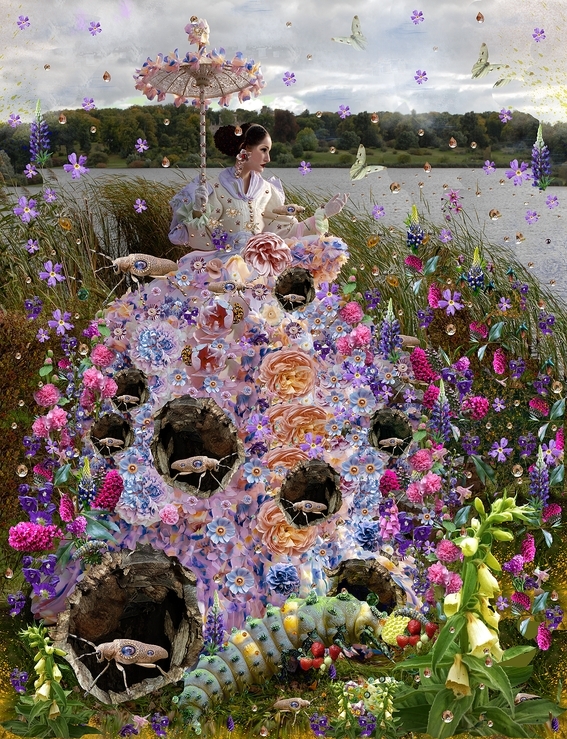 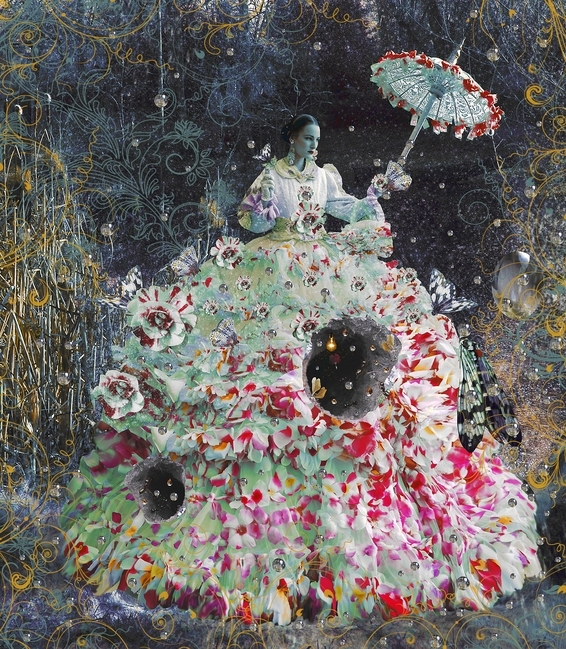 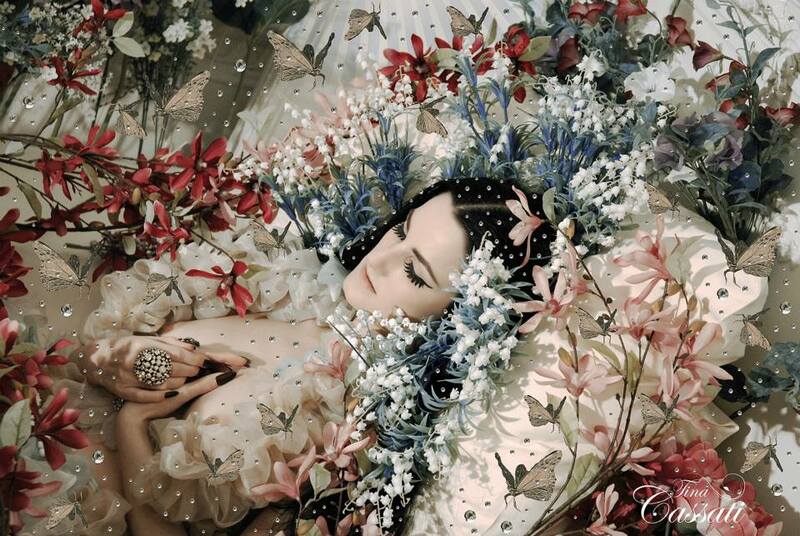 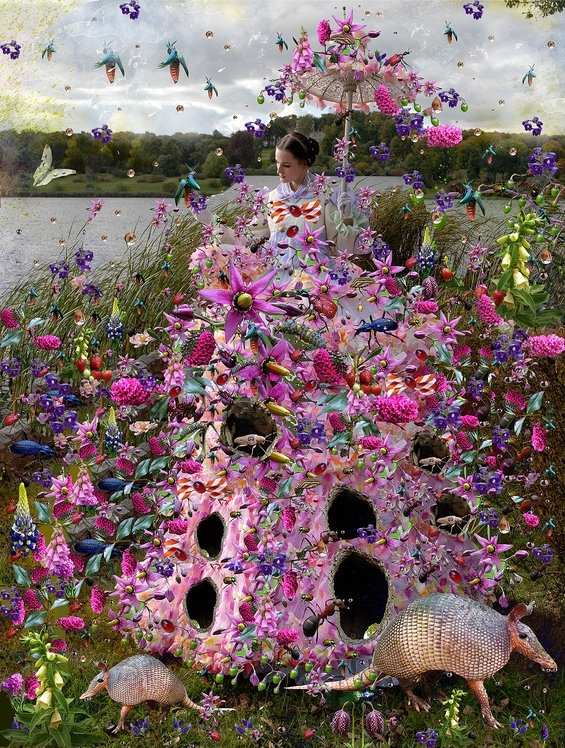 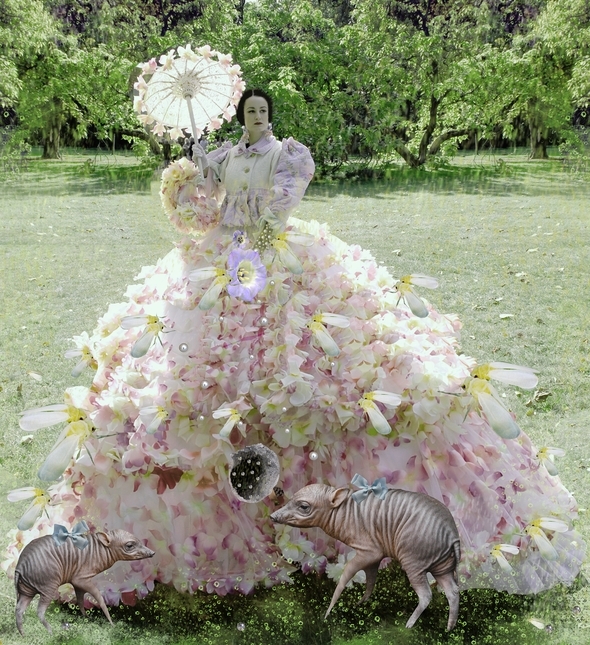 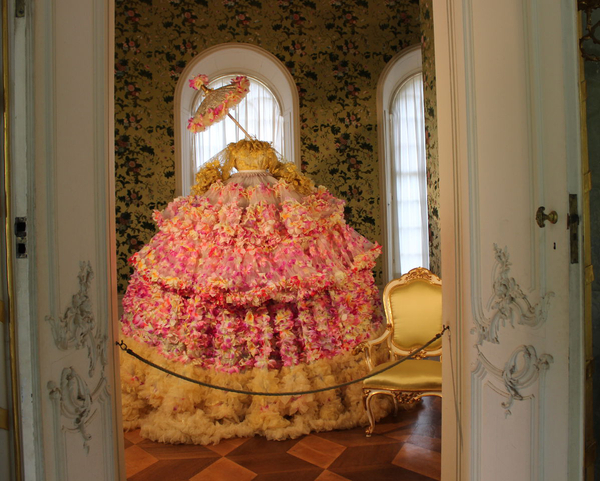 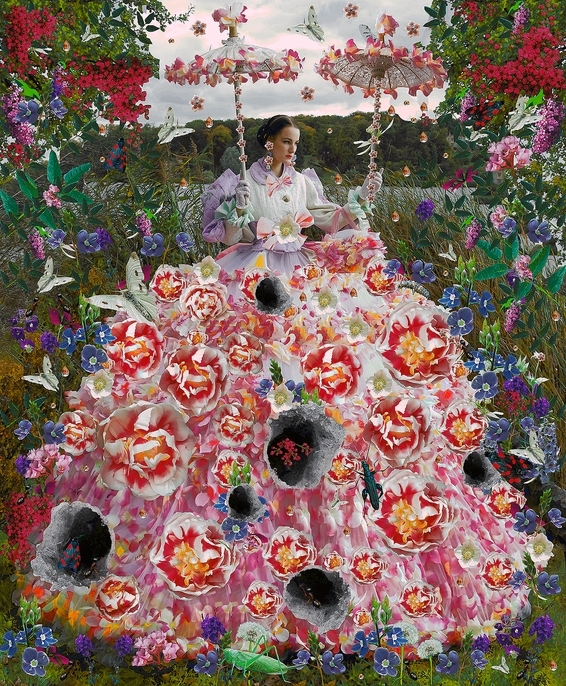 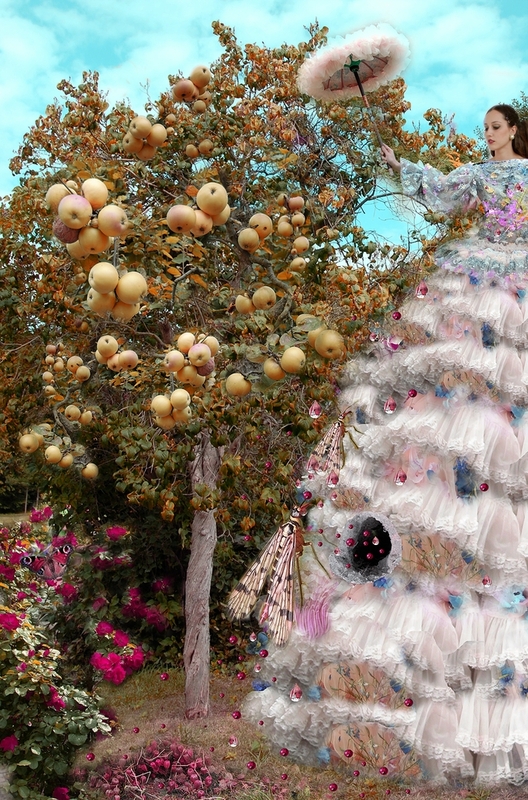 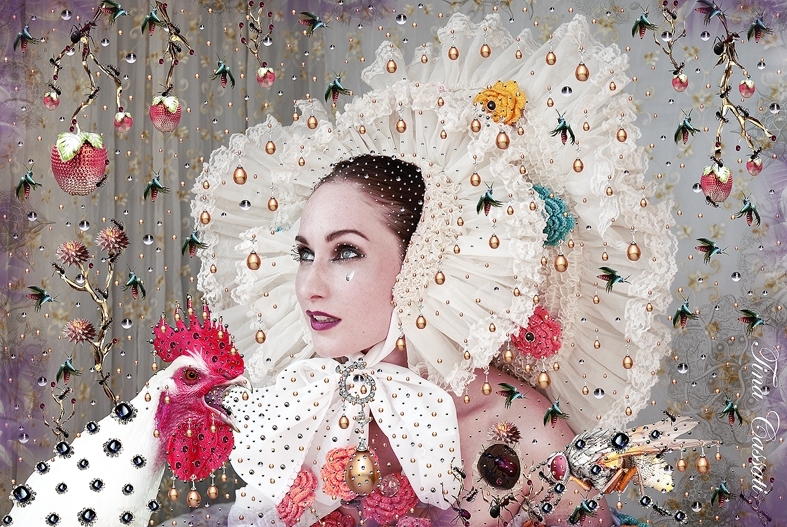 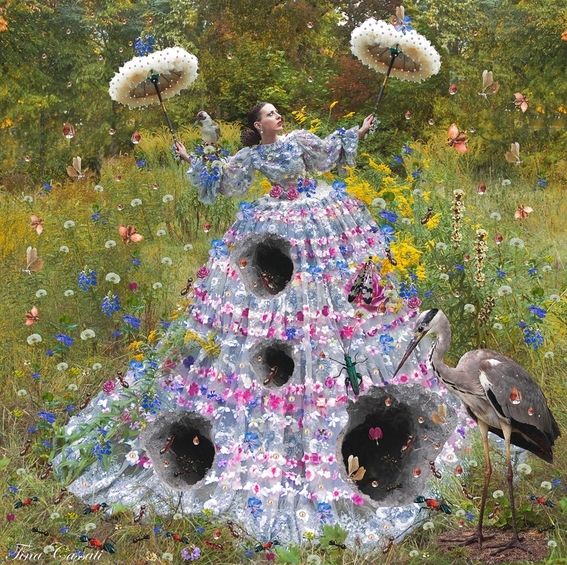 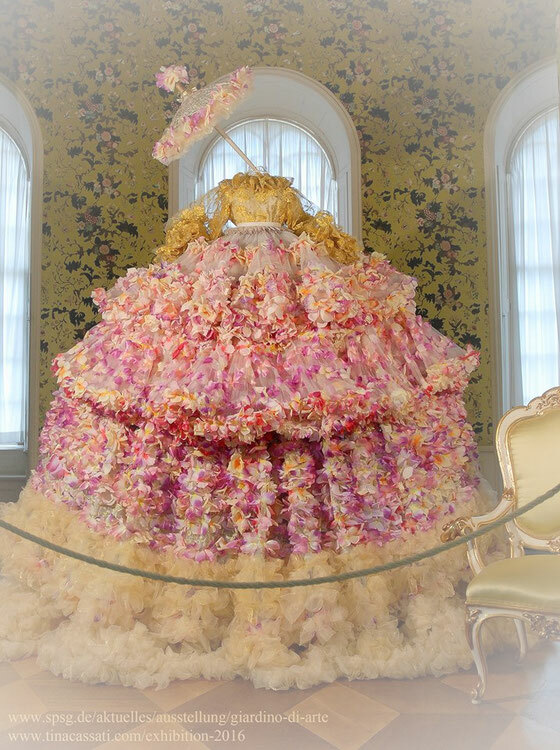 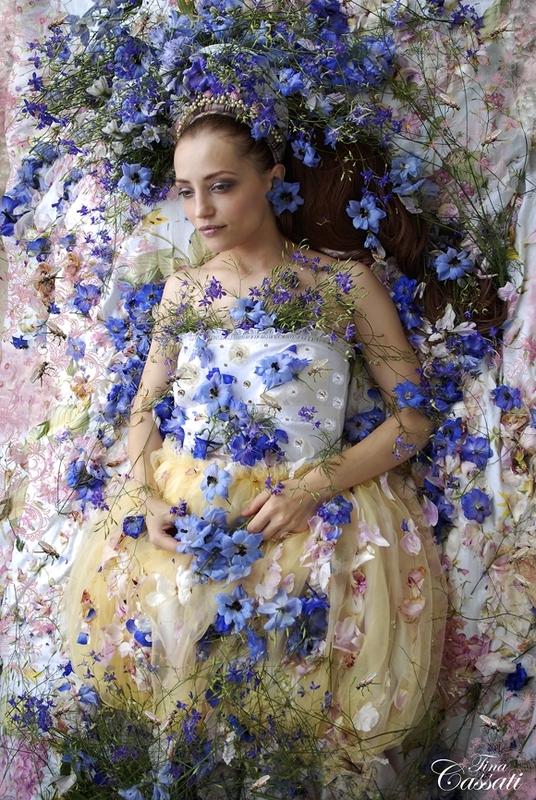 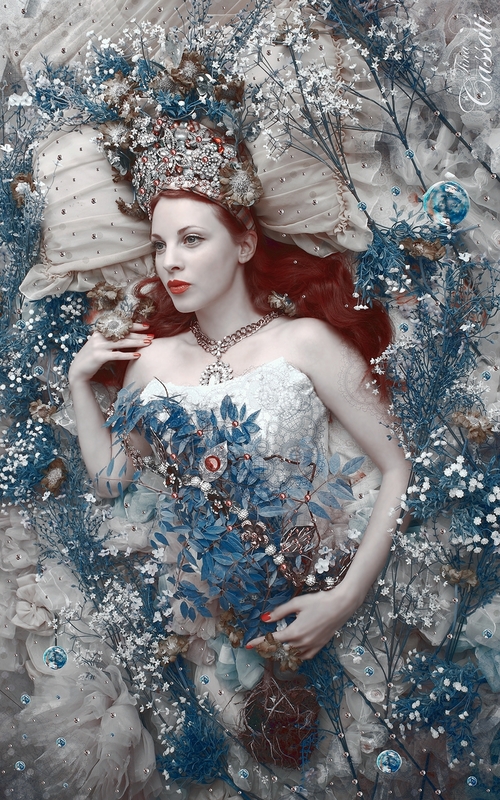 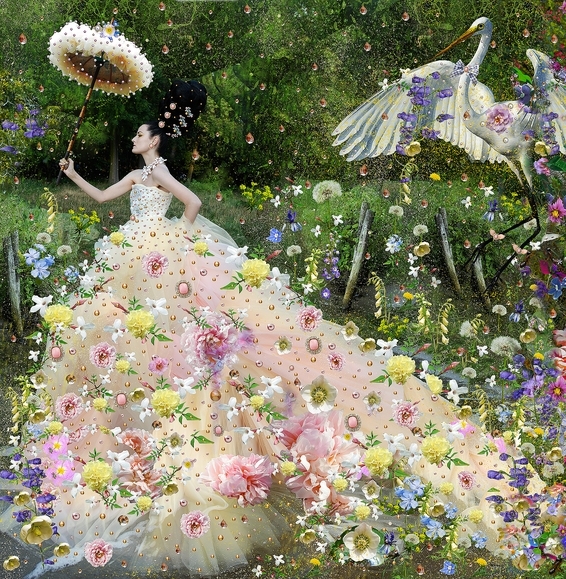 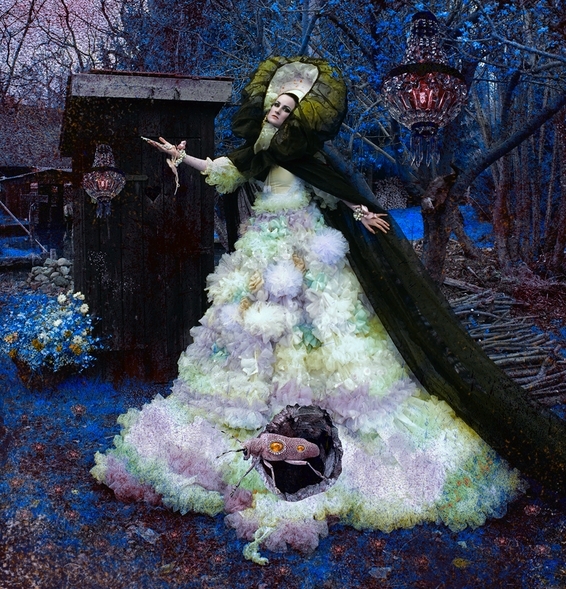 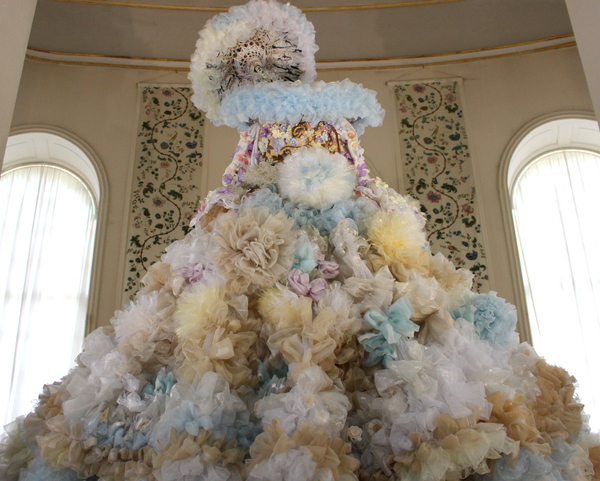 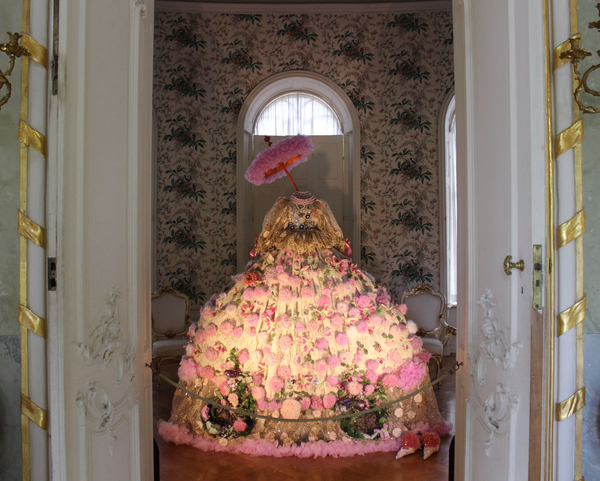 Her work is influenced by Renaissance, Baroque, Traditional Clothing (Folk Costumes) fairy tales. 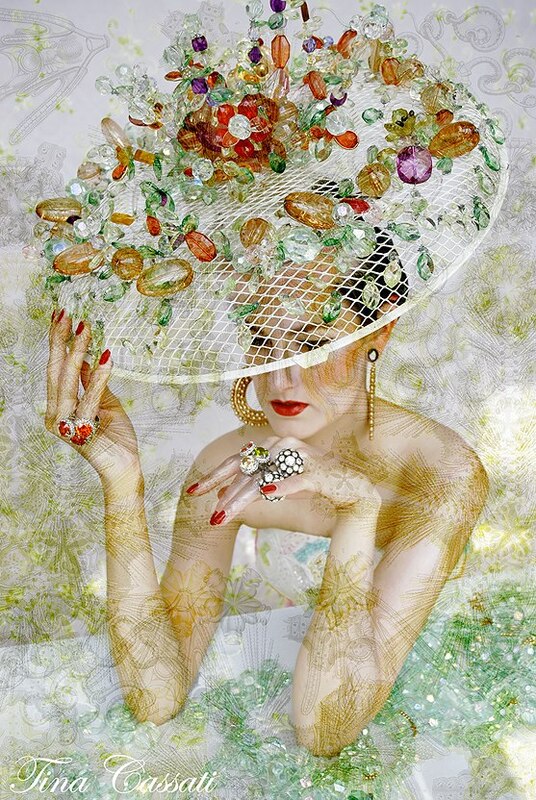 To her, fashion is fine art. 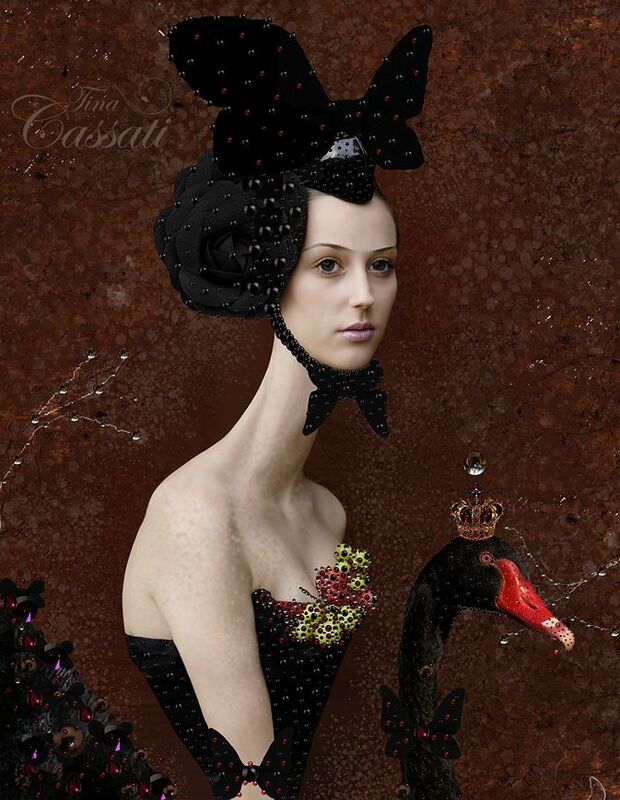 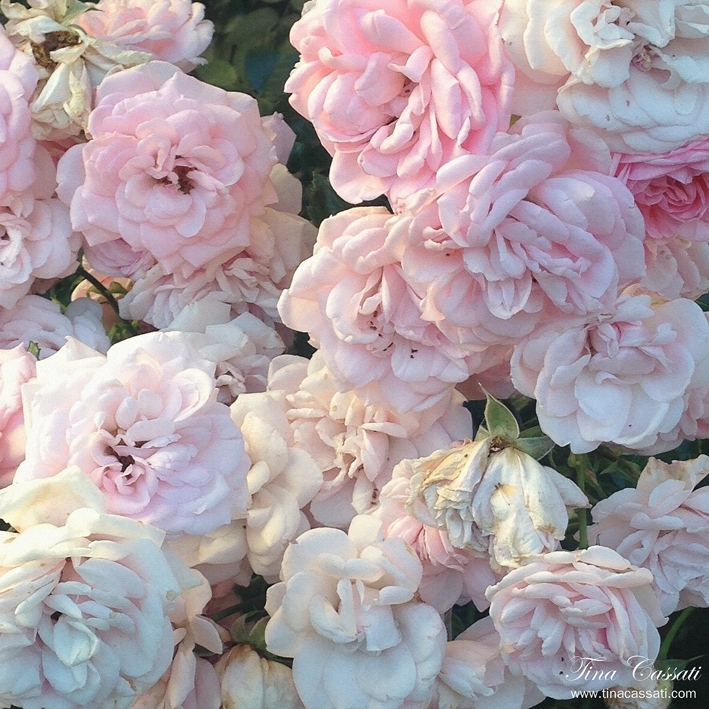 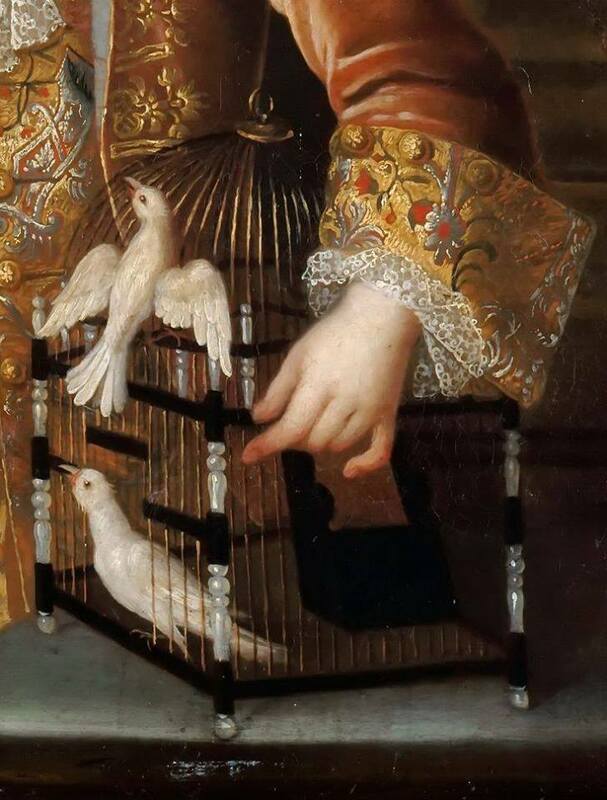 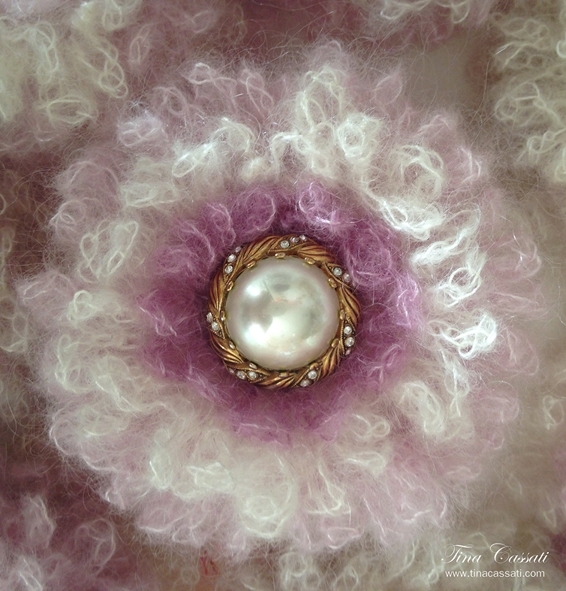 Tina Cassati is very inspired of historical and particularly of Elizabethan costumes, eastern clothes, fairy tale, folklore as well as from the picture language of the Renaissance. 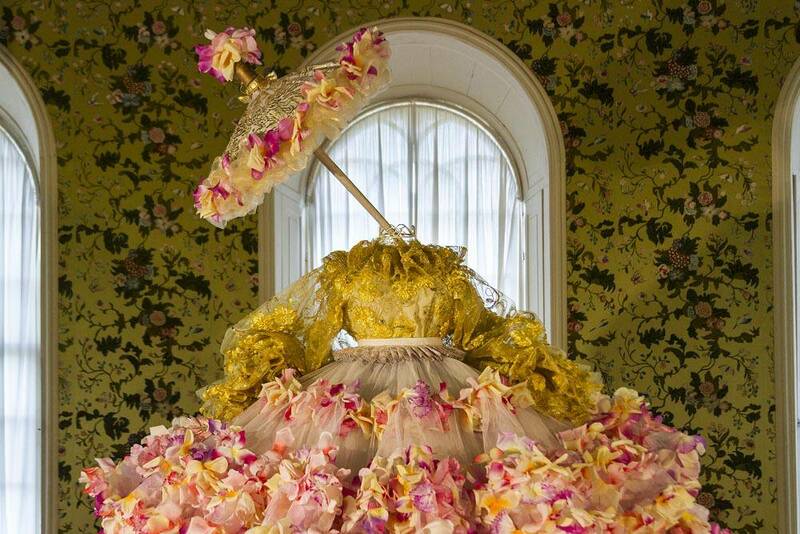 The love for costume and before all to the theatre affects its work much. 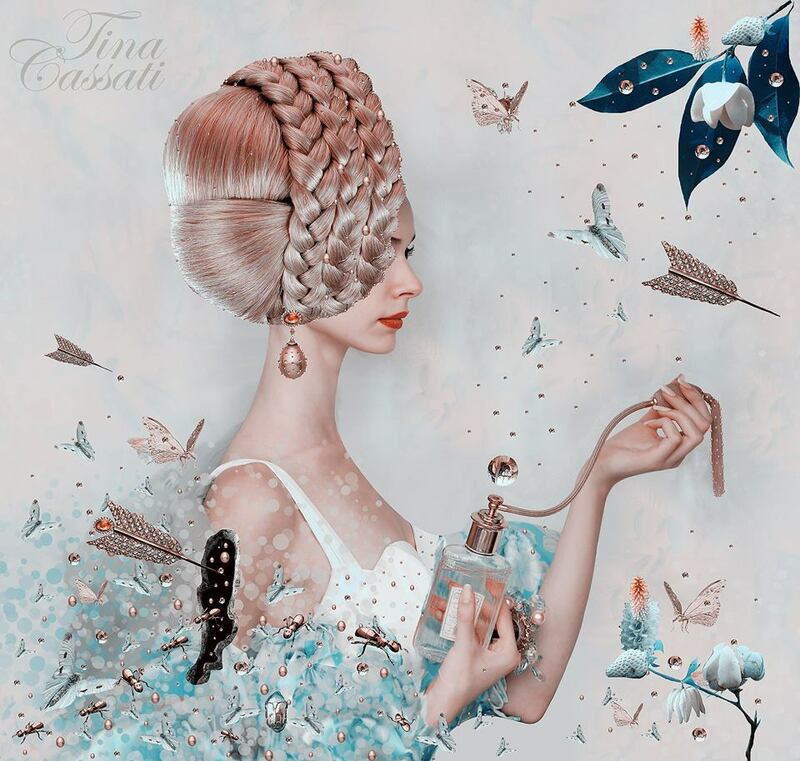 The fusion of philosophy, symbolism and different rituals from the past and the present as well as stories inspire the work of Tina Cassati, paired the whole with visions of the future. 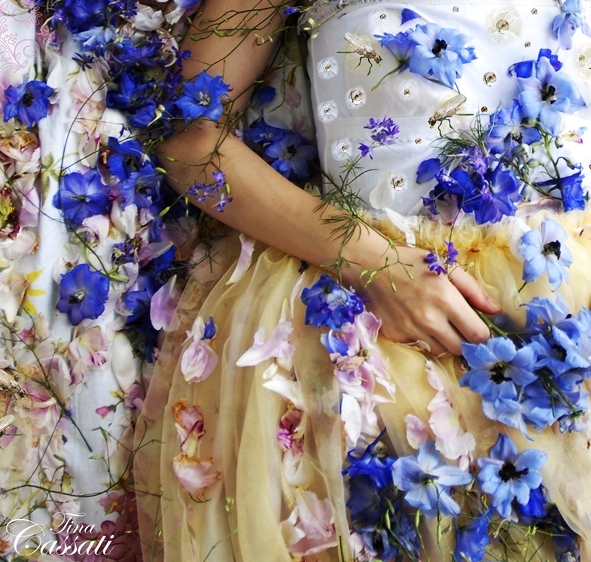 The result is provokant usually, permits only uncompromising enthusiasm or frightening. 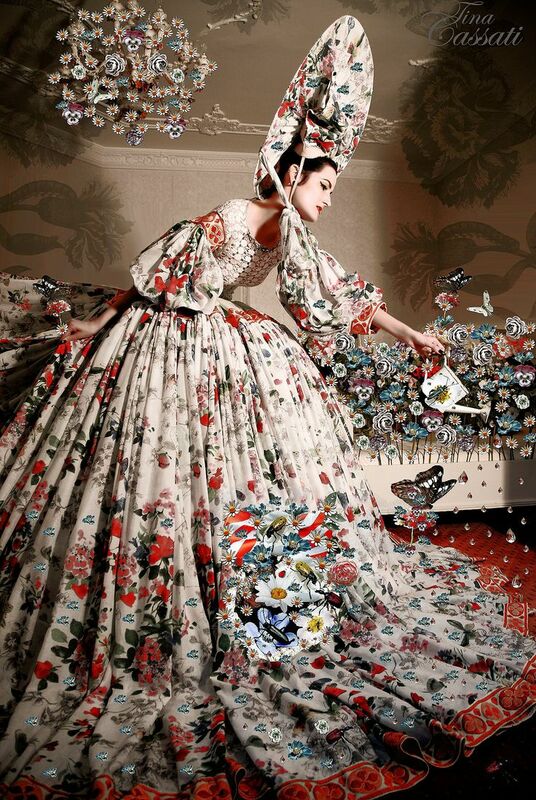 FASHION as ART FORM. 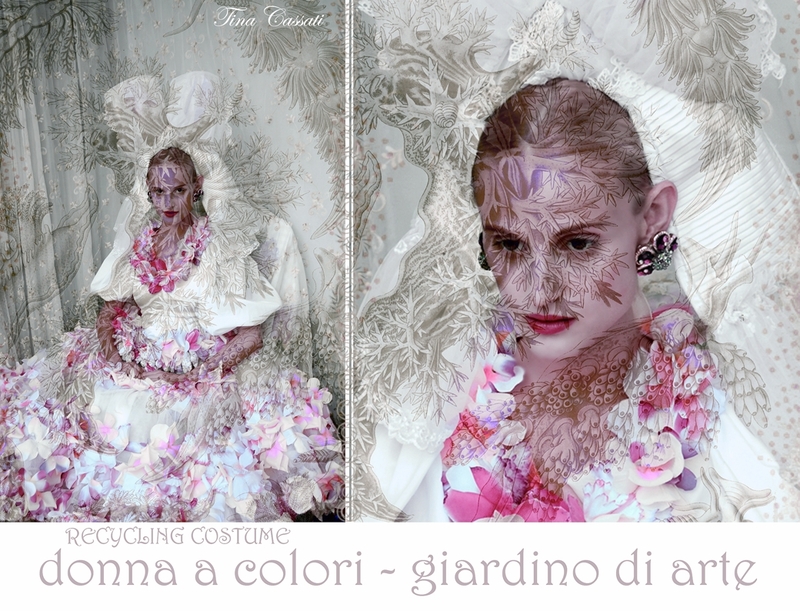 She is currently working among others on the project - giardino di arte - this is a conceptual art project (current series), where selfmade costumes and objects (sculpture le mode) and photo-surreal art (mixed media) in combine with the nature takes place, the greatest source of inspiration of Tina Cassati.